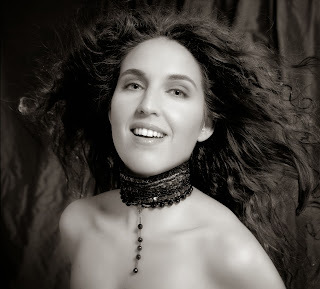 French soprano Norah Amsellem was an unforgettable Gilda when she debuted at Seattle Opera ten years ago. This versatile artist—who has returned to Seattle as the fragile Elvira in I puritani, a strong Micaëla in Carmen, and an authentically Parisien Musetta in La bohème—now takes on one of the biggest challenges any soprano can face, the triple-whammy role of Hoffmann’s Beloveds. She told us a little about why this quadruple role is so difficult. 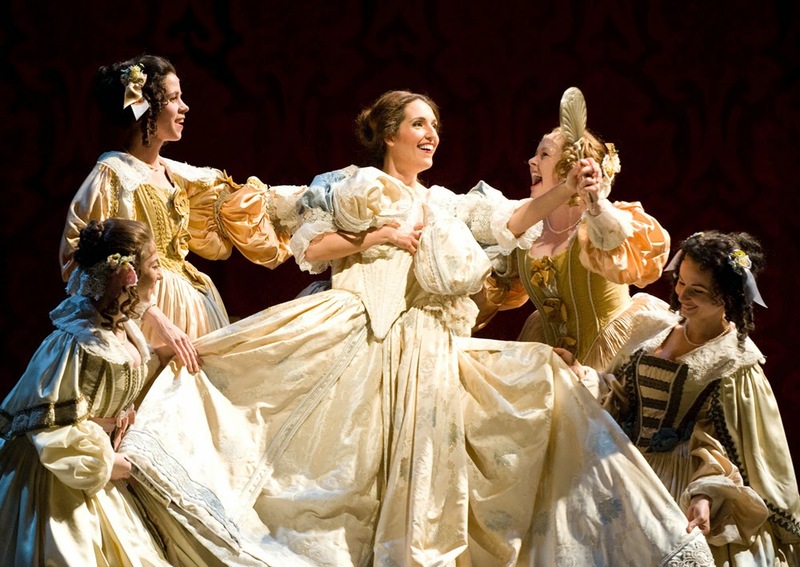 You play four different women in this opera, all whom Hoffmann desires. How does that work? The four different women symbolize Hoffmann's progress through love in his life. With Olympia, it is new love, fascinating. His love for Antonia is very pure, innocent and real, but because she dies, his heart is broken and he moves on to a more sexual love with Giulietta. 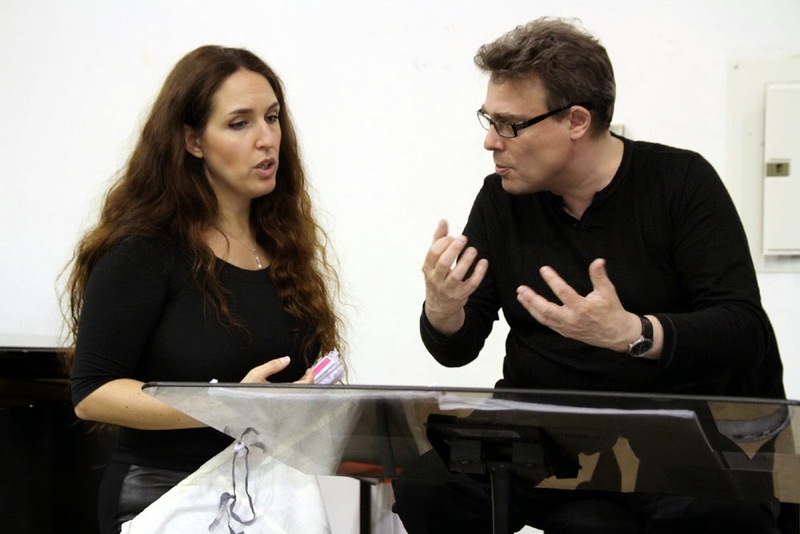 Unfortunately, Hoffmann is very unlucky in love! 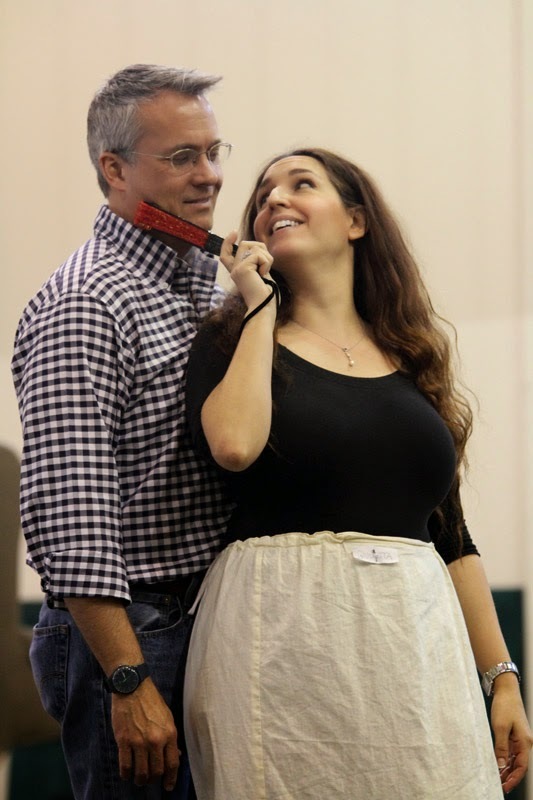 This opera is all about exploring different facets of love, of what love can be. At Seattle Opera, we’ve sometimes asked one singer (Joan Sutherland in 1970, Ashley Putnam in 1980) to sing all three, and sometimes engaged three different singers. Are there advantages and disadvantages on both sides? Offenbach did in fact originally intend the three roles to be sung by one singer. However, each of the four roles calls for a different range and vocal "fach," so when one singer does all three parts, obviously there is one that is harder than the others. Olympia is a coloratura soprano; it sits quite high. Antonia calls for a lyric soprano and Giulietta for a mezzo-soprano. If you want to sing all three, you’ll need a wide range. But none of the roles are very long. Is it easier to relate to one of them? I relate best to Antonia, who is the most "human" one. She is the only one who loves Hoffmann, and she has the most beautiful music to sing. Do you have a favorite moment in this opera? Antonia’s duet with Hoffmann, "C'est une chanson d'amour qui s'envole," is beautiful. And the aria Hoffmann sings to Giulietta, "O Dieu de quelle ivresse..." That tune sticks in my mind every time I hear it! Where else have you performed these roles? I have performed Antonia in Beijing. But Olympia and Giulietta are a first for me. I call Paris and New York home as these are the two cities where I spend the most time. I was born and raised in Paris, but at age 17 I came to the US to go to university, and then on to the Met for the Lindemann Young Artists Program. Since then I have been based either in Paris or New York. How do you juggle the demands of family and career? It’s quite difficult. My son is nearly 7 years old now and cannot travel with me during school time. I am blessed that my parents can care of him when I am away. I love the city, and Benjamin, my son, has come twice and adores Seattle. He remembers it very clearly, and always asks me when we will go back! People here are so nice and welcoming, and of course Speight is a very special person. What has Speight meant to your career? Speight is exceptional in many ways including the range and depth of his knowledge. The extent of his experience makes him literally a walking encopledia. I think he is a wonderful judge of singers. The opera house in Seattle has wonderful acoustics, the people who run the house are wonderful, and the atmosphere here is very special, so that makes it one of my favorites. Many Italian opera houses are also special because of their history, acoustics and beauty. And of course the Metropolitan always will be special to me as it is where I made my stage debut. What are your interests outside of opera? I love to dance, salsa, samba...fortunately, one can do that anywhere, provided one has the time. Having the opportunity to travel so much, I have the opportunity of visiting museums all over the world, and am privileged to see what is best in the world of art and sculpture in every city where I work.